Grayson Devlin, is one of the members of the Libertine Scholars. Grayson has certain ideas for his future. He wants a wife that has poise and elegance and is proper in every way. Passion is for mistresses right? Grayson can’t let himself love, he has lost almost everyone that has been important in his life. He lost one of his best friends in the war, and refuses to let himself care for Portria because he can’t lose her too. Grayson was a great hero, and a scandalous rake. And boy does he know how to make a girl shiver in delight. He knows his way around England and Europe, protective and fiercely possessive despite his closes off heart, too stubborn and proud. Definitely has many alpha like qualities to adore. Portria Flagstaff, is the only sister from brothers. Portia grew up with parents that loved each other fiercely, and she wants the same for herself. She knows who she wants, and that is Grayson. She has loved him for years, grew up with him, but he doesn’t feel the same way, despite the fact that they create fireworks. Portia is a heroine you can come to love. She is passionate, strong-willed, takes risks, fights for what she believes in and desires more than to just be head of a household and to be a wife to some staid lord. She wants passion in her life. This is a story that anyone who loves a charming and endearing romance can come to love. There are many things that occur in this story. First we have the mystery of the woman who is trying to kill the Libertine Scholars. So the hunt is on…and it continues with this story. This book is the third installment and is Gray’s story. This is a newer author to me, and with each book I read from her, I become more and more impressed. There aren’t too many recent historical romance authors I love this much. She creates stories of depth and character…the type of stories that stay with you, and make a big impression and A Touch of Passion was no different. The story begins with our heroine making a mistake, a mistake that ends with her being held captive. I loved seeing Portia being a less than perfect character. She has many faults, but she also has many qualities that seem to make her seem…human and very real to the reader. She ends up being rescued by the man she has always loved. The plot is pretty steady and it does have some twists, a bit of mystery and intrigue elements, but the majority of the story is focused on the couple and working through their issues that holds them back from loving each other fully. We see flaws in the heroe’s character, and he does have some good reasons for feeling as he does. But there were a couple of instances in the story, that I just wanted to wring his neck, and you see the negative effect it has on Portia. What truly affected about this one, was the level of emotion that is displayed through the story. Its stong and poignant and ends up capturing your attention. The dialogue is engaging and sweet and keeps you entertained. The humor is great, and I loved the antics of Graysons’ friends. They were just a delightful bunch and can’t wait for their stories to come up next. 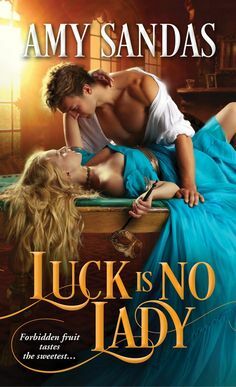 Now I have seen lots of different covers especially for historical romance, and this is one of my favorites. The pose is sensual and holds you in the moment. The first time I saw it I got lost in it, and I lost track of my own world. I love the colors, and Portia’s dress is so beautiful and richly colored. A rich and poignant romance that takes you back through time, a love story of sensuality, adventure and enriched emotion. A truly sensational romance that is a must for any romance lover, a story to inspire and leave you feeling breathless for more from this author. A TREASURE!